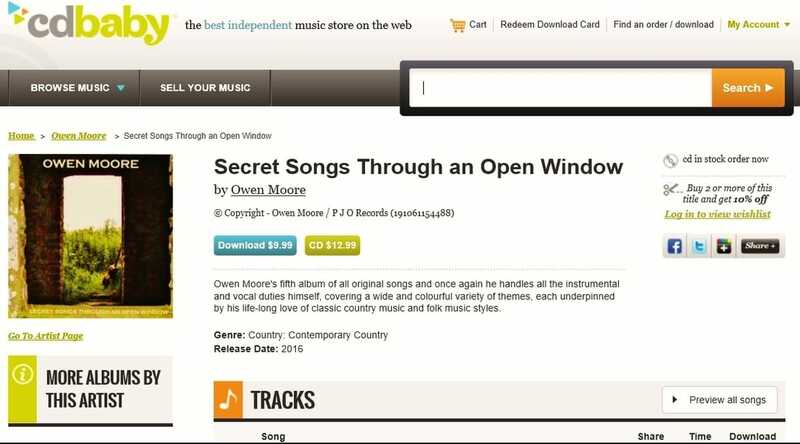 Welcome to Owen Moore Music, a website just for the recordings of singer and songwriter, Owen Moore. If you'd like to say hello, please do; there are some details on the Contact page. The new Owen Moore single, "Ravishing Ruby", is now available as a digital download at lots of internet sites including Amazon, Spotify & CD Baby. ...new Owen Moore single, "The Far Side Banks Of Jordan", available as a digital download, as from 1st June. Written by Terry Smith in the early 1970s, the song was a regular staple of the Johnny Cash & June Carter shows and has been recorded by dozens of country singers over the years. 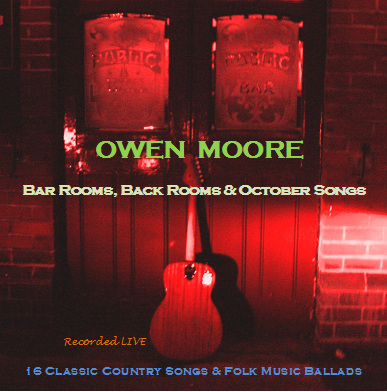 The seventh album of all-original Owen Moore songs is now completed and should be available next month, as a CD or as a digital download. It is called, "Hand-painted Songs". New, all-original album just finished - "Secret Songs Through An Open Window". ...working on the bass parts to a couple of new song ideas. Over the past few months I have been putting some of my own songs onto YouTube. 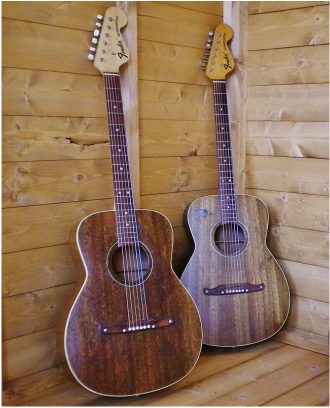 They're not studio recordings, just basic, simple vocal & guitar renditions, but they are all original Owen Moore songs and some are brand new whilst others are songs that I have previously recorded on my albums. I haven't arranged or uploaded these YouTube tracks in any particular order, I just played whatever song I felt like doing at the time. Anyway, I have now uploaded song number 50 and I have created a playlist which I've called Owen Moore Original Songs. There are plenty of tracks to choose from and the whole playlist can be found on YouTube. New 18-track LIVE album now ready. A good start to the new year with two of my recordings appearing on the new 22-song Hotdisc album "Best Of British & Irish Country 2015"; my own song, "Walking With That Girl Of Mine" and one by Willie Nelson and Buddy Cannon, "Guitar In The Corner". Finally completed my second album of 2015. This CD is a collection of songs by other songwriters that I have enjoyed performing many times over the years, in pubs, clubs and concerts - and when I've been out and about busking too. The new album is called, "Songs For Passing Strangers". I'm pleased to see that during August and September, "Guitar In The Corner", one of the songs from my new album, has just spent a very happy few weeks in the Hotdisc Country Music charts. A collection of a dozen country music songs, with the classic themes of love, loss, hope and despair. Some date from my very earliest street-singing days and many were recorded originally by such performers as Don Williams, Merle Haggard, George Jones and Willie Nelson. One or two tracks are sad and reflective, others more bright and joyful, but all are recorded in a laid back and low key style to create a gentle, mostly acoustic-sounding album. "City Streets & Country Songs". Delighted to see that one of my songs, "Walking With That Girl Of Mine" has just made an appearance as a new entry on this month's Hotdisc Country Music charts. Had an enjoyable time as the guest on Tony Pankhurst's two-hour country music show on Skyline Gold, picking a lot of the music tracks and chatting about my own songs. The following week Tony kindly played a Live track of mine that I'd only just recorded a couple of nights earlier. Quick work! Another one of my songs, "Rosanna Del Rey", has entered the Hotdisc Country Music charts, so there are now two tracks of mine in the Hotdisc charts at the same time. A good start to the year! "Two Cats", one of the songs on my new album, "Short Songs From Thin Air", has just made it to the dizzy heights of number 16 in the Hotdisc Country Music charts! "Short Songs From Thin Air"
"Bar Rooms, Back Rooms & October Songs"
The month of October 2013 was very busy and after recording many of the gigs I played, I picked sixteen songs for a Live album. The songs were all recorded in small places, mostly noisy bars or cafes, so the album certainly doesn't have a perfect studio-type sound to it; far from it in fact. The music just took its chances along with everything else that was going on there at the same time, but even so, I hope the tracks will convey something of the atmosphere of a real live, face-to-face, intimate music event.